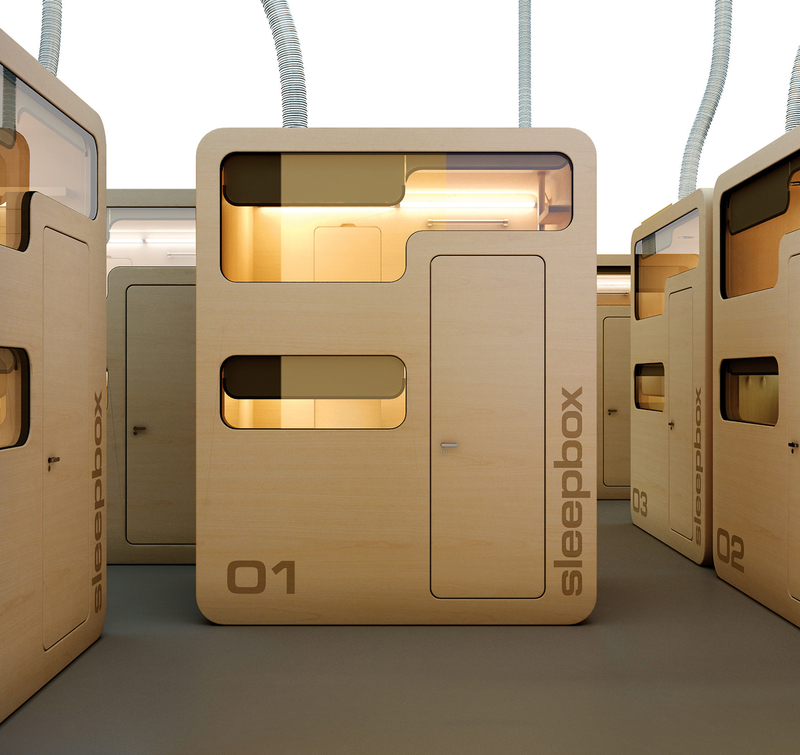 Sleepbox is a welcome solution for every weary traveller who has ever fallen asleep hunched over in an airport lounge chair. The Arch Group design firm has conceptualized this series of sleep pods, which act as miniature pop-up hotels within airports. Not only for sleeping, these space savers come with wireless Internet access, a television, and sockets for recharging cell phones and laptops. The comfortable bed even includes an automatic system to change the linens. Customers can buy time as needed, from 15 minutes to several hours, then wake up refreshed and ready to fly.